Bless fan fiction and fan art, both of which indulge us with all sorts of ridiculous, awesome crossovers. 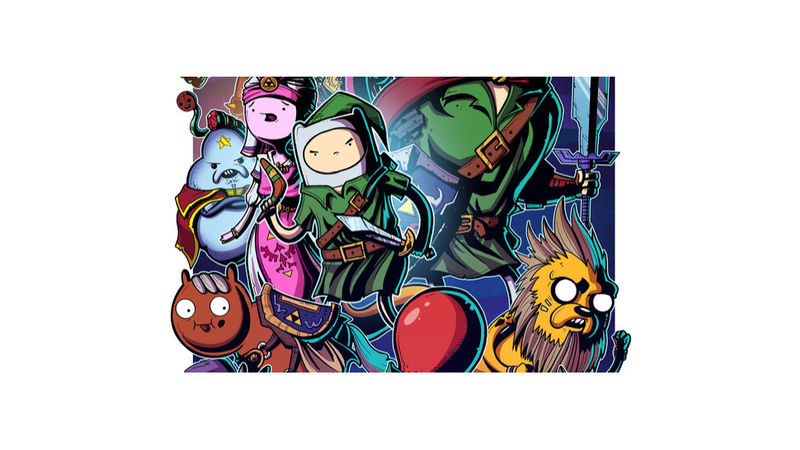 Like this Ocarina of Adventure Time collaboration by Joe Hogan and Mike Vasquez, for example. Take a look at the whole thing. Recognize everyone? You can view Joe Hogan's other work here, and Mike Vasquez' work here.